This is the New Moon, where we begin again. 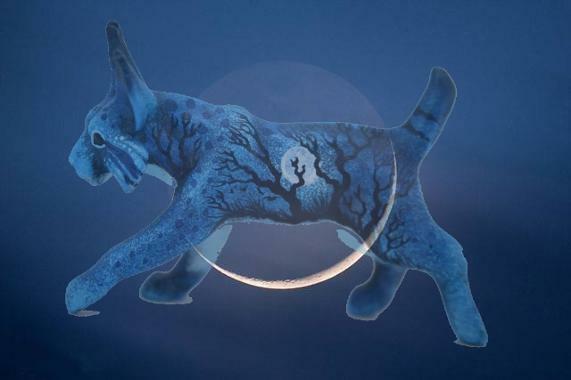 In this "Sound Doctoring"
Bob Cat, the Mountain Lion, the Lynx etc. What: Bring: Yoga Mat, Blankets, pillow. Wear comfortable clothes. Room is carpeted. Big Parking Lot - Free Parking. The Scottish Wild Cat Energy above demands that we look at the truth straight in the eyes and stand up against the lie, the corruption, both internal and external. All programming that is not for our highest good closes our potential, our opportunity and keeps us from walking in our true nature. The truth will set us free from our societal programming and that which allows us to be manipulated in any way. Bob Cat allows us to observe that which is happening straight on and then protect the truth against invasion. This is an imperative quality to access in these changing times to allow us to navigate as well as serve in an effective way. Here we also bring true heaven to earth and our life, straight from the source. 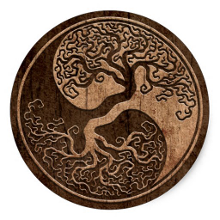 The tree is the symbol for as above so below. As we bring heaven to earth, the programming is seen, rooted out and then no longer colors our world view. This Sound Doctoring (TM) will set the precedence for us doing deeper work in the future on this topic with an eye on truly liberating ourselves. Look to event below in Feb to find bio, website links, and answers to most asked questions. Activate a New Way of Being with the Staff of Healing. In this workshop, we will very actively Prepare the Way for your increasing Transformation into a new empowering Paradigm. Sound and Doctoring Ways. A uniquely transformative paradigm beyond the Sound Bath modality. SOUND DOCTORING (TM) with Gongs, Bowls, Anaconda Drum, Tabla, Udu, Dayereh, Kanjirah and Dhimri Drums +, Exploratory Movement, Traditional Snake Dance and more. In this "Sound Doctoring (TM)" session we will explore the ancient staff of healing, the staff of Aesculapius pictured with the snake coiled around it. We will discover why the ancients associate this symbol with healing. 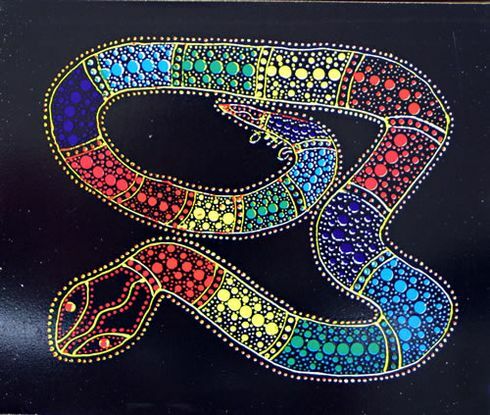 We will also be exploring the snake as an activating principal, activating the things that need to be healed on mother earth and within us. Moving with the earth, we shedding our skins, and come into a new way of being. and Tchise Aje Traditional Healer (https://docs.wixstatic.com/ugd/54f251_8bfd3a5f2906436cb18ce328bb36a819.pdf), will be leading us in a traditional African Snake Dance before the Sound Doctoring (TM) and ceremony. Ron Wagner, master drummer with Cirque du Soleil, and TM practitioner will accompany us on this journey as well as Mari (see bio below). As always, feel free to participate in any or all of the ceremony and activities. Bring: yoga mat, and blankets, to wrap up in with comfy clothes. Testimonials for the "FRAGRANCE OF SOUND"
What is a Sound Bath ? With Ancestor Honoring Ceremony and Ancestral Clearing. Master Drummer ! Let's Celebrate Halloween Together. Trance Dance and Sound Bath. Halloween Weekend combining Halloween & Day of the Dead celebration. Optional: Bring Photos of your Ancestors. Wear your costumes or come as is. Bring scarves for dancing or whatever you would like. Be creative. Bring objects for the altar or even Halloween decorations. Bring Yoga Mat to lay on unless you are going to dance through the sound bath part. If you wish to be blindfolded for the trance dance, bring blindfold. Come make Altars and decorate the space at 7:30. The space is yours to create. Make an altar for your deceased relatives. Bring photos of those who have passed on. No photos? Write their name on a piece of paper and place it on the altar. Halloween was dedicated to those who passed on as was El Dia de Los Murertos (Day of the Dead). Things you can bring if you have them or want to acquire them : fabrics, altar elements, photos, Halloween decorations, scarves for dancing, glow sticks. Flowers to honor the deceased is one of the main ingredients for El Dia de Los Murertos, so you can also bring flowers for the ancestors. Or bring nothing. It is your choice. Ecstatic Dance Starts at 8:30 or so, perhaps 8:45. Decorating and Altar building Starting at 7:30. Special Guest will lead the altar building part of the Celebration. If you can't be there by 7:30 you can come when the rest of the program starts at 8:30. 35.00 pre-pay. 40.00 at the door. Susan Alday and other guest presenters / participants. Park on Montana Street, West of the Event Location - Ample street parking for free. One block away down Montana @ Gretna along side Golf course. free parking. Meters close to event 2.00 an hour. "Excited for your next event Mari, wish to see you soon! The last one you had in Hollywood was spectacular!" IN THE WAKE OF THE DEVASTATION OF PELE in Hawaii the Earth is being destroyed while simultaneously being re-created. Only what is stronger will eventually grow back up thought the lava as it kills everything it comes in contact with. As with each of us, when there is devastation, we need to reach deep within and pull up that which is stronger to overcome. Tonight we re-seed our internal / external forest so that our world grows back through the trials upheaval, finding new strength below. 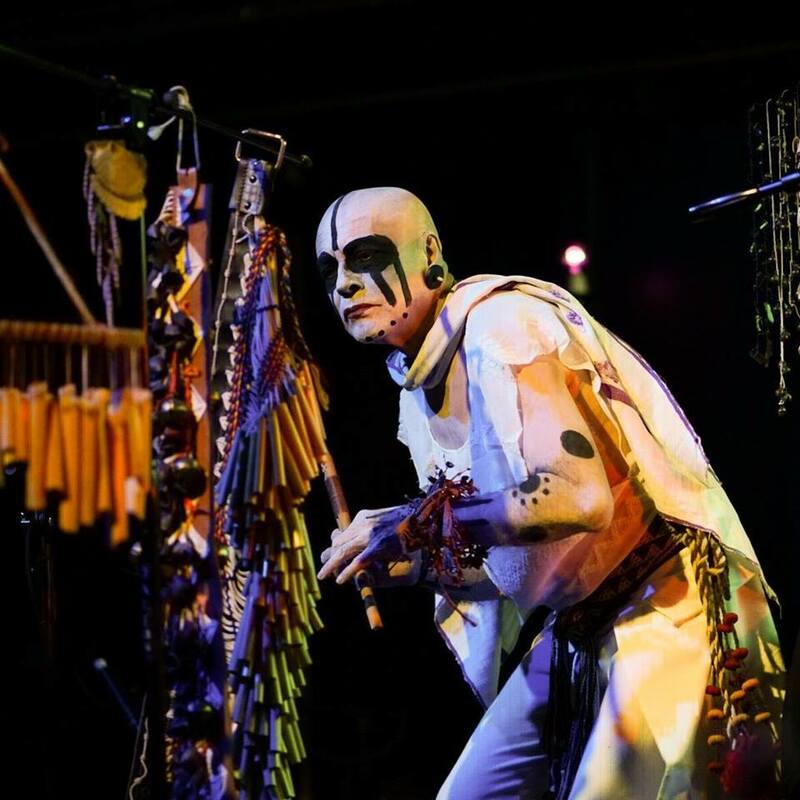 With one of the Largest collections of Ancient Aztec flutes, Celebrated Pre-Colombian Musician Ixoneztli - known for playing with Cirque du Soliel and with the band YES's Jon Anderson, transports the audience to the remote Jungles and caves and water ways of ancient Meso-America. Joined by sonic Artist Mari Fix of the "FRAGRANCE OF SOUND," this duo pulls on the voices of the wild - harmonic and hypnotic, capturing the Primeval pulse of the earth. 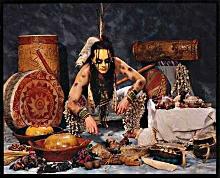 Ixoneztli has been featured in La Opinion, various other prestigious Magazines and on KCRW's Morning becomes Eclectic. Mari has been featured in Voyage LA and Best of LA magazine, among others. This is a lay down event so as to harmonize with the subtleties of sound. You may sit also. Note: Bring Blankets, Mat and pillow to keep warm. If you need a chair, bring it as there are no chairs at this unique venue. Cost 35.00 (cash only) at the door. Park on Montana Street, West of the Event Location - Ample street parking. Meters close to event 2.00 an hour. One block away down Montana @ Gretna along side Golf course. free parking. For more info, contact fragranceofsound@yahoo.com. RSVP not mandatory but preferred. Bio: Mari apprenticed with Sound Healer K. Bach for more than 8 years, has written for one of the members of the Cirque du Soleil's solo show in Las Vegas, as well as sung harmonic vocals on CD "Book of Alchemy," featured in Keyboard Magazine, and the soundtrack for an MTV Animation Festival. Mari has also performed with Eva Stokes in Kaliuga, the Ideals, as well as Sabrina Sayed, and with one of the members from the band, "The Residents." She also worked for a year or two with Aretha Franklin's backup singer, Geraldine. Mari has an extensive background in Alternative Medicine. She has served as the medical Intuitive for Dr. Daniel Reeves, D.C., N. D., D.D., Phd. for 9 or more years where she helped to diagnose patients in his practice as well as treat them. She also has studied Energy Medicine Modalities: Total Body Modification (Energetic Chiropractic) and Matrix Energetics 1, 2, & 3. She has Certification in all of these modalities. Further, Mari has a Certification to teach Kunlun Nei Gung or the Kunlun System, Taoist Internal Alchemy, and has been accredited to instruct Taoist Internal Meditation Techniques since 2011. She has been working with Sacred Sound & Healing for 20 + years. Originally gifted a spontaneous form of movement meditation that came to her after attending a traditional indigenous "ghost dance" in 1992, she plunged into her own in-depth internal study of these mysteries, and her own moon cycle following a spontaneous Kundalini awakening. She spent many years developing a relationship to this work in private. In 2008, she had a Spiritual Awakening and is currently deepening the embodiment of that awakening. She currently teaches meditation and provides Sacred Sound & Sound Healing for transformation, health and stress relief. Healthcare Innovation and Entrepreneurship - Duke U.
Inspirational Leadership through Emotional Intelligence - Case Western U. Music Production / Songwriting / Vocal Recording Technology - Berklee School of Music in Boston. bio: Ashley Countryman is certified as a “Shakti Naam Instructor,” “Kabbalah of Birth Instructor,” and as a “Harmonyum Practitioner..” She is inspired by her passion to open as many hearts as possible through these divine teachings. She believes that we are all seeds from the light that when nurtured, make this world a brighter place. This is done by acting with consciousness, unconditional love, supporting each other, and being of service. Ashley has a background in dance, track and field, and music and is an aspiring surfer. Relax and Rejuvenate in the Healing Sounds of the Gong, Crystal & Tibetan Bowls, Voice and more. Invigorate your body with an experience of collective whole body tune up. Let the vibrations still the mind bring you present. Let the ceremony ignite your soul. In the hands of a knowledgeable practitioner, therapeutic sound ushers you into the subconscious & parasympathetic nervous system where all healing takes place. Mari has well over 20 years of experience in both therapeutic sound, spiritual consciousness practices, and energetic medicine, and combines this knowledge to aid and assist participants in their journey towards healing and expanded awareness. Here are some of the many benefits of FOS's Therapeutic Sound. up elevator to 2nd floor. This is a lay down event so as to harmonize with the subtleties of sound. You may sit also. Note: Bring Blankets, Mat and pillow to keep warm and lie down on. If you need a chair, bring it as there are no chairs at this unique venue. There are a few extra yoga mats at the venue but please bring your own if you have one as there are just a few there. RSVP not mandatory but preferred. The term Sound Bath was first coined a few years back by musicians or possibly sound healers who took instruments and immersed the audience in this sound for relaxation and stress relief. It was found that specific instruments coupled with energetic medicine knowledge created conducive vibrations to provide ease of tension and deep relaxation. Deep relaxation is a per-cursor to health and healing and allows the individual to release patterns of tension, trauma and stress that create illness. Science has long known about brainwaves—patterns of electrical activity generated by the billions of neural cells in the human brain. Different levels of consciousness generate brainwaves at specific frequencies. More recent discoveries have shown that when people listen to sound vibrations and rhythmic sounds matched to a particular frequency, their brainwaves begin exhibiting the same frequency. This process is called “brain entrainment,” and it’s how we harnesses the power of the mind to help heal the body. Here are some of the many benefits of Therapeutic Sound. Relax and Rejuvenate in the Healing Sounds of the Gong, Crystal & Tibetan Bowls, Voice and more. 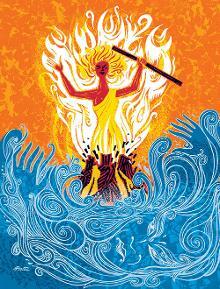 Invigorate your body with an experience of collective whole body chanting. Let the vibrations still the mind bring you present. Shakti Naam Yoga is the technology of longevity, higher awareness and healing the body of illness and disease. Shakti Naam is not strenuous, but rather is an energetic form of yoga, great for all age levels and abilities. 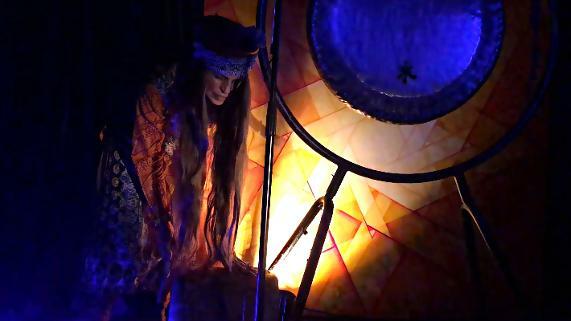 Combined with the sounds of Gong, and other Sacred Instruments, this will be a program dedicated to our transformation on all levels.